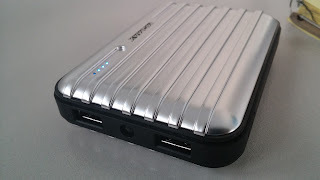 This is my first time to review a power bank or portable external battery for smart devices. Like I always mentioned in my other reviews, I only review products that I actually use. No gimmicks, no sponsors and no bullsh*t. Last december, I bought the iPower GO+ from a local store and after more than a month of use, here is my take on it. iPower GO+ has a lot of juice on it. As in a lot! It packs with 11,200mAh reserve power which can fully charge my iPhone up to 7X and my LG G2 up to 3 or 4 times. I have nothing more to ask from iPower Go+ in this category. Look can be deceiving. It looks like a sturdy small briefcase but unfortunately for me it is not. 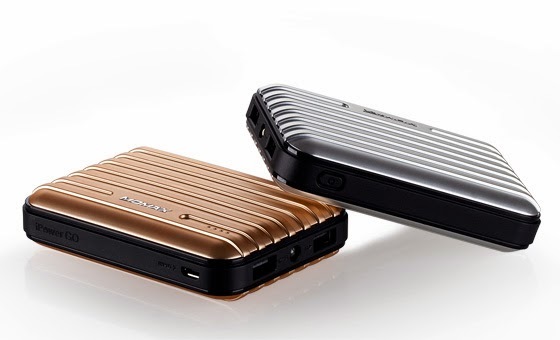 iPower GO+ has dual USB output which can charge two devices simultaneously. One USB output can shell out 2.1A+ for fast charging. It weighs 260g which in my opinion, a little too heavy for backpack. I don't recommend it for long outdoor hiking when light packing is important. The price is Php3,750 from Digital Walker. A far more pricey than other available power bank out in the market. Did I regret buying iPower GO+? will I recommend it? Personally Yes I regret buying it but not because it is not a good buy. 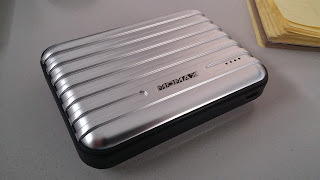 It serves its purpose well and that is to provide backup power for my devices whenever they are hungry. If I can return to the past, I'll go for iPower Tough 2 because it fits my lifestyle more. I still recommend iPower GO+ though not just a gadget for outdoor activities.